This text offers practical information on the applications and use of the quartz crystal ball and modern crystal bowl as a magical tool. The book takes the ancient processes of divination and scrying out of the realm of the supernatural and places them in the domain of natural knowledge. It reveals why crystal balls and crystal bowls are dynamic instruments for transformation, and how they can be used to divine the future, the astral project, to connect the spirits, to heal and to balance the human energy system. The book explores their many functions, and reveals the secrets of vibrational energy, as well as its application for increasing intuition and activating creativity. Step-by-step, the reader can learn techniques for crystal gazing, scrying, attuning to spirit guides, developing clairvoyance, and healing. 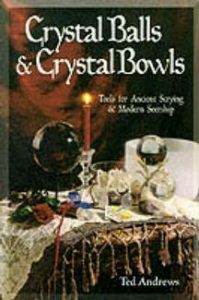 Crystal balls and crystal bowls are two powerful tools for opening to higher states of consciousness, and this book provides information on the “hows and whys” of them and aims to show how their magic can enhance the reader’s life. Het grote gevaar van alle uiteenzettingen over magische verschijnselen ligt in het scherpe contrast van de bevestiging ervan door de gelovigen en de ontkenning door de realisten. Zo ontstaat een zwart-wit-beeld, dat zowel voor de ene groep als voor de andere geen overgang toelaat….In dit boek heb ik getracht, hoewel overtuigd zijnde van het bestaan van het magische, de twijfel eraan zoveel mogelijk te laten gelden. 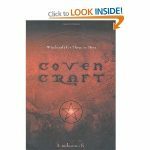 The ultimate coven handbook, Coven Craft was written by a well-known and respected Wiccan High Priestess, who guides you through the workings of covens from Altars to Zoning. Over the course of twenty-seven chapters and forty-two appendices, Amber K shares with you her vast coven know-how, with plenty of veteran insights and straight-up advice on: –Finding or organizing a coven–Tools and supplies–Finances and incorporation–Coven offices–New members–The coven calendar–Pagan ritual–The sabbats and esbats–Training and intiation–Group dynamics–Counseling–Elders–Traditions–Networking and affiliation–Covens in the community It has been said that leading a coven is like herding cats. Whether you’re searching for fresh ways to meet those challenges or you’re thinking about joining your first magical group, consult this friendly, knowledgeable companion for guidance. 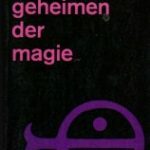 Applied Magic is a selection of Dion Fortune’s writings on the practical applications of magical and esoteric techniques. The whole of existence is not just what our five senses can comprehend. There is a whole kingdom of mind and spirit that comes from another plane of existence — the cosmos — where mystics and poets have gone to reach another kind of knowing. Everyone has the ability to access these invisible planes of existence — and to bring themselves into harmony with the great Cosmic Forces. 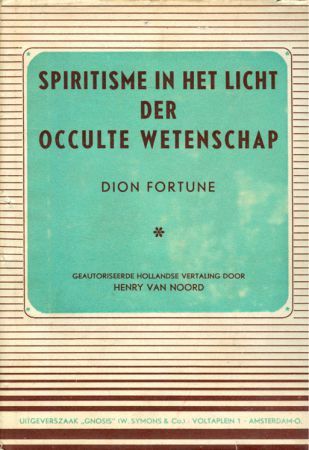 Fortune also discusses practical applications, the group mind, the psychology of ritual, the three kinds of reality, and people who have been involved in esoteric study. She provides invaluable guidance to anyone intent on increasing inner awareness. She declares, “Esoteric tradition admits of no exclusiveness; it sees all religions as the expressions of our spirit rather than the personal revelation of a jealous God to His chosen people. It suffers from neither superstitious awe nor bigoted fear”. This edition includes a glossary that defines terms used in the study of the Western Mystery Tradition when she was teaching her group in London, a new introduction by Gareth Knight, and an index. A this unique collaboration of two magical practitioners and teachers, presented with a valuable and up-to-date text on the practice of ritual or ceremonial magic as a practical, spiritual, and psychic discipline. 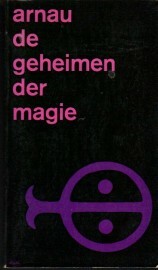 In a work that has hitherto appeared only in fragmented form in rare journal articles, Fortune deals in successive chapters with Types of Mind Working; Mind Training; the use of Ritual; Psychic Perception; Ritual Initiation; the Reality of the Subtle Planes; Focusing the Magic Mirror; Channelling the Forces; the Form of the Ceremony; and the Purpose of Magic – with appendices on Talisman Magic and Astral Forms. Each chapter is supplemented and expanded by a companion chapter on the same subject, by Gareth Knight. He fills in practical information that Dion Fortune might have included had she been writing today. 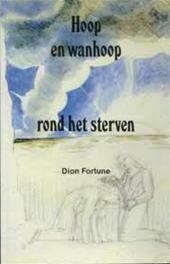 door Dion Fortune, uitgeverij Gnosis, 1e druk 1949, Gebonden boek met stofomslag, hardcover met linnen rug en goud opdruk op kaft en rug, formaat 13,5 x 20 cm., gewicht 263 gr. Vertaald uit het Engels door Henry van Noord.